The first part of the show features “Tears Dont fall in outta space by Taurus tracker’s. Martin from the band was interviewed in a previous show. The New Album “All shook up again in W10 “captures the spirit of Ladbroke Grove,”says Tessa Pollitt (The Slits). Produced by Mick Jones, who also added some extra guitar, keys and vocals and made the tea. The album was recorded during a difficult time for the band, after losing their studio to property developers a temporary move was made to Mick’s studio where most of the album was recorded. Whilst nearing completion, the Grenfell fire happened. We then have two tracks from Stash magnetic a mesmorising electronica band who I have had the pleasure of gigging with. Their brooding dark electronica can be found here. 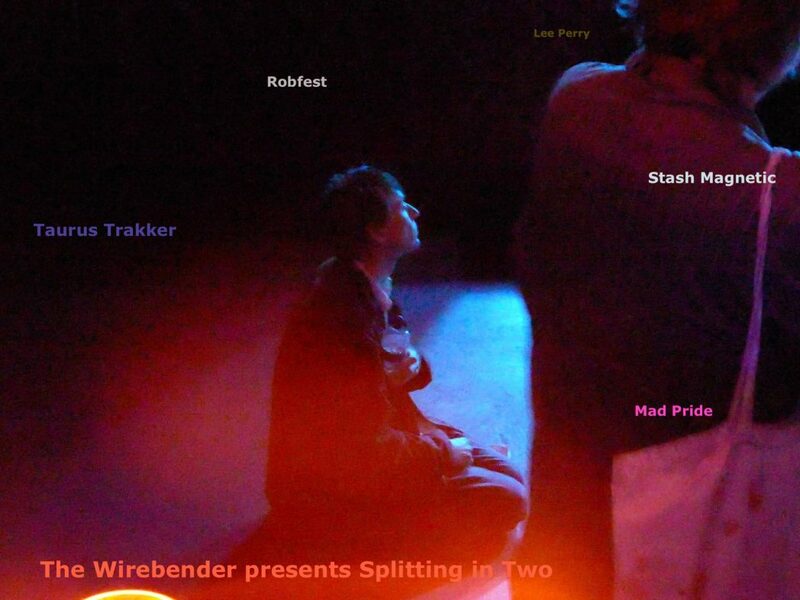 The second part of the show is Robfest a compilation of songs I recorded from bands performances at the celebration of Robert’s life. I was fortunate to have met him through both his book his fanzine Mad pride and on actions against the Disability Living Allowance . Robert Dellar is described as a “tenacious force for good in an uncaring world” and one of the founders of Mad Pride, a driving force behind the user-led campaign, set up to celebrate mental health culture. I was invited to record the event at the London Amersham Arms. it constitutes the latter part of the show with one track from some of the bands performing. Amongst the bands were The Long Decline, started by Kenny Wisdom in 1993. An early line-up, included punk legend Mark Perry of Alternative TV, their first single ‘I’m A Jew’ in 1997 received the NME ‘Single Of The Week’.The band were augmented by Vic Godard (Subway Sect) who features in the show along with the ATV as well the Astronauts and Infernal contraption. All the artists featured on the Mad Pride can be found here. The show ends with dubblestandart-dub-in-tape-series-01-cassette-preview with Lee Perry purchased in New York.